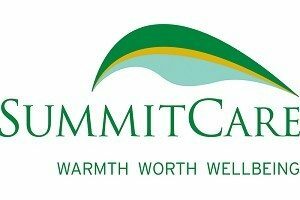 At SummitCare Wallsend you will find a professional and highly experienced aged care team that is passionate about creating an inclusive community and delivering quality aged care and support services for the Wallsend community– all against the backdrop of a beautiful and welcoming environment. The SummitCare Wallsend aged care facility residents and their loved ones enjoy relaxing and holding gatherings and barbecues in the external courtyard – the Rose Garden – with its attractive pergola, giant chess board and stunning landscaping. Inside, there are plenty of quiet nooks – for reading or more personal chats, while separate dining rooms are available in each unit giving extra privacy if required. Wallsend residents quickly become part of a warm and welcoming community at Wallsend aged care facility, and are encouraged to enjoy a wide range of recreational activities to suit their needs and interests, such as bus outings, bingo, group activities, craft, humour therapy, special event days, concerts from local school groups and pet therapy. Allied health services include physiotherapy, podiatry and speech pathology.